WHAT A FIRST EPISODE! There’s already wonderful storytelling just within the first few minutes of the show. I’m going to assume that anyone reading this either feels more comfortable knowing what they’re about to watch or missed my warning at the beginning, so just so you know I’ll be spoiling a little bit of it in this first impression. The mystery behind the demons and the relationship they have with the humans is interesting and I’m curious about how the story will develop. But first, let’s talk about this incredible art style! The following images were taken from the Opening (that’s played at the end) and it looks incredible. Tanjiro’s ability is showcased as being some type of water element and that way it’s drawn gives it the aesthetic of a Ukiyo-e, or Japanese woodblock paintings and more specifically “The Wave” by Hokusai, and that connects back to the setting of the story which looks like Edo Period Japan. ufotable’s known to use both CGI and 2D animation to create a fluid and unique art style that only they can deliver. The composition of each scene is well crafted and the use of CGI is great to create certain cinematic movements that would take too much work through 2D animation. As you can tell, I’m very excited about Kimetsu no Yaiba and waiting week after week for each episode is going to be a struggle in itself. 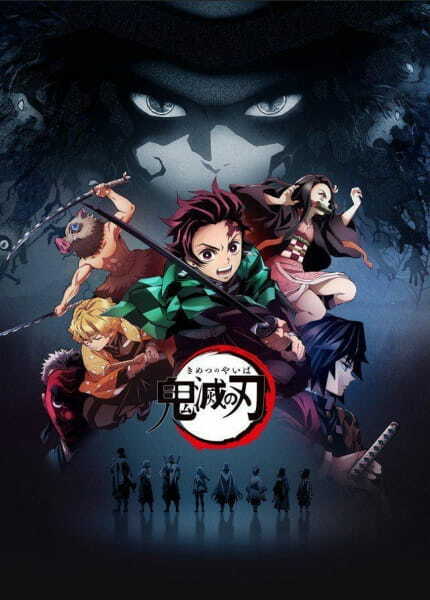 Kimetsu no Yaiba will most likely be the fan favorite of the season because of its dark storyline as well as being animated by the very popular ufotable. ufotable does excellent work as every show they put out goes above and beyond the expectations every time. If you don’t enjoy violence or gore, then this probably isn’t the one for you. For my anime fans who love Shingeki no Kyojin, Full Metal Alchemist, or Samurai Champloo, get ready for a really good storyline and lots of emotional pain.